How did this captain know, from fifty feet away, what the father couldn’t recognize from just ten? Drowning is not the violent, splashing, call for help that most people expect. The captain was trained to recognize drowning by experts and years of experience. The father, on the other hand, had learned what drowning looks like by watching television. If you spend time on or near the water (hint: that’s all of us) then you should make sure that you and your crew knows what to look for whenever people enter the water. Until she cried a tearful, “Daddy,” she hadn’t made a sound. As a former Coast Guard rescue swimmer, I wasn’t surprised at all by this story. 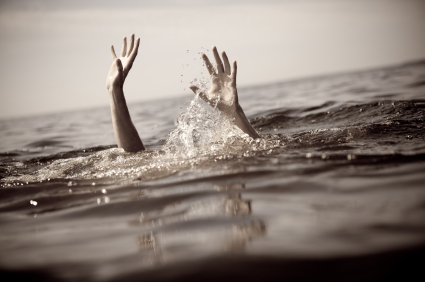 Drowning is almost always a deceptively quiet event. The waving, splashing, and yelling that dramatic conditioning (television) prepares us to look for, is rarely seen in real life. What could possibly go wrong? That question doesn’t get asked often enough. In June of 2002, it was discovered that the suction drain of a hot tub was strong enough to hold a child underwater. Seven-year-old Virginia Graeme Baker lost her life because a spa manufacturer did not ask the question: what could go wrong? 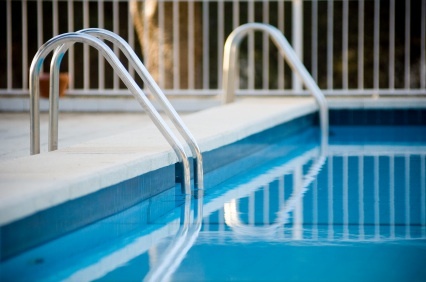 The Virginia Graeme Baker Pool and Spa Safety Act was signed into law in December of 2007. If it feels like five years was too long to wait for a regulation that makes spas and pools less able to hold children underwater – I agree. The Act calls for safety interlocks and anti-entrapment screens ─ all the things you think would be common sense, but apparently weren’t. Implementation of the law is still being worked out. But here is the thing – the pool in the backyard is yours. You can assume that designers and manufacturers (and government regulators) thought of everything, or you can start asking your own questions. At the bottom of this post is the list of questions I consider when setting up a pool for safe operation. However, It is best when used as a starting point and an example for your list. As with most things relating to water safety, there are too many variables for absolutes. The hazards that are particular to your own backyard pool or spa are ones that you alone are going to have to manage. It’s hard and perhaps even stressful work, but I promise it will make your family safer.